On Friday night I did one of the best things ever to date. 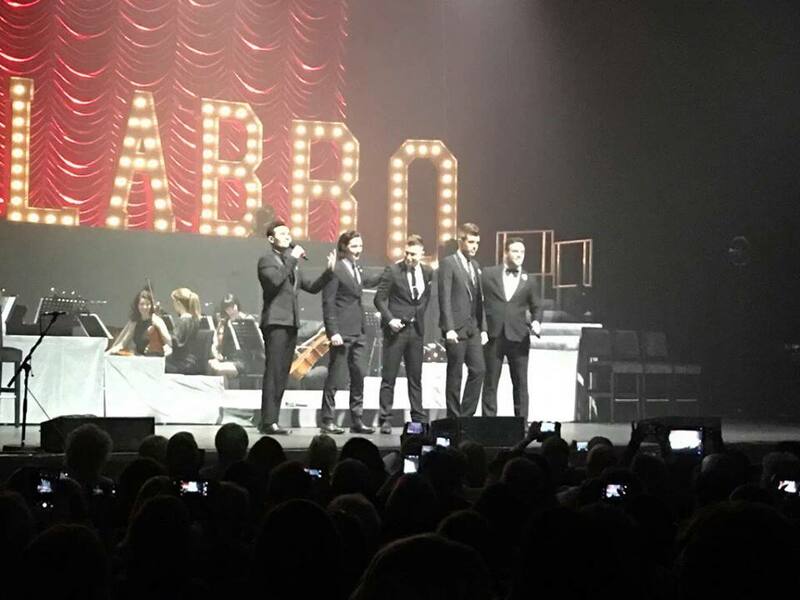 If you remember my 'What I Got For My 16th Birthday' I received one of the best birthday presents ever and that was a ticket to go and watch Collabro in concert on Friday in Stoke. Collabro won Britain's Got Talent two years ago and sing musical theatre songs. They're one of my favourite boy bands and I cried when I received this present. Anyway, on Friday I went on my way to Stoke singing songs from their albums as loud as I could along with one of my best friends and her mum. Anyway I thought I do a quick blog post to sum up the night and share a few photos. These photos aren't all mine I'd just like to say, they're people's photo who shared the amazing night. I didn't actually watch the series of Britain's Got Talent when Collabro won because it's not my favourite show but when the best friend I went with showed me some of their performances of YouTube as the show was on and I became hooked. They were just so different and something that was out of the ordinary. 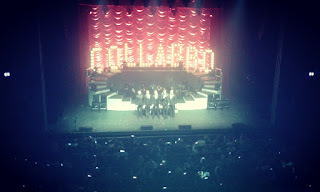 I have a real love for musicals so Collabro were kind of perfect for me. I just love listening to their music. I didn't get the chance to go to their first tour and to be honest I didn't think I was going to have the chance to go this tour so when I got the tickets I was literally so happy and was counting down the days until I went and saw them. 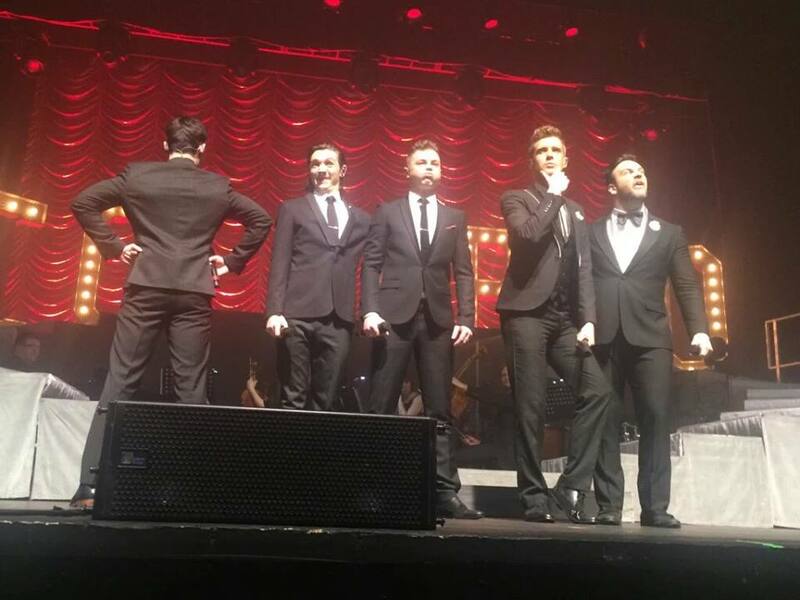 The Act Two album is my favourite album to date out of the two albums Collabro have brought out and the tour really exceeded my expectations. 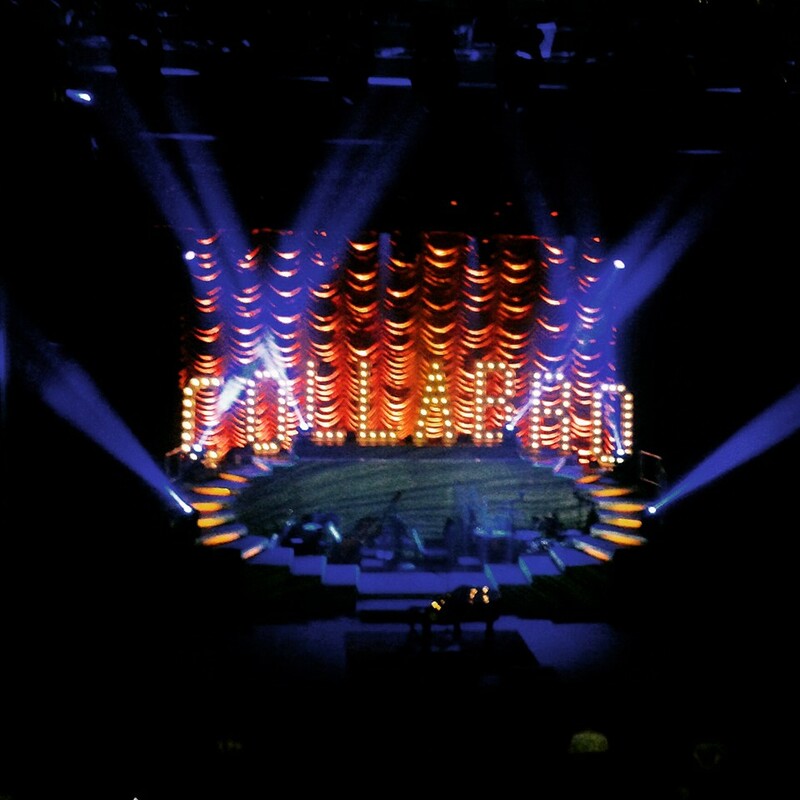 The way the stage was and the way the songs were performed were just astounding! Also, I really liked that Collabro did songs that weren't on any of their albums; I don't want to spoil these songs for anyone going to watch the boys but all I will say is that a particular Mumford & Sons song was a particular favourite of mine - I hope they put it on a future album. 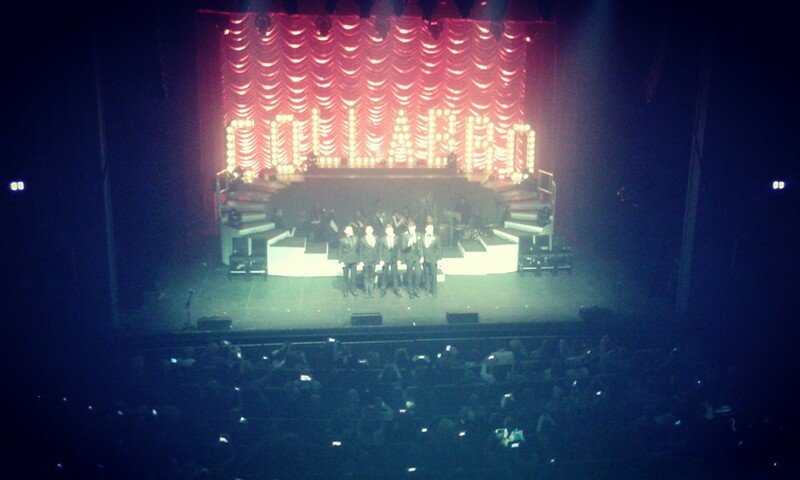 Whenever I've been to a concert the support acts have always been a bit iffy but the support acts at the Collabro concert were freaking amazing! AJ Brown came on before Collabro came onto the stage and I have officially become obsessed with him, I've actually become so obsessed with him that I've order his EP with the songs he performed in his set. Catriona Murray was the other support act, she's an opera singer who came onto stage and sang some songs by herself but also joined in on The Phantom of the Opera songs - literally The Phantom of the Opera that she sang with Collabro sent chills down my spine, it was amazing! I really had an amazing time and am now kind of obsessed with the idea of going to all of Collabro's concerts; they're just so friendly in concert and seem to connect with their audience so well. The photo below is their classic selfie that the boys take on stage. 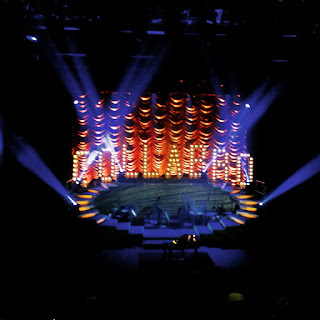 Me, my friend and her mum sat on the upper level where the lights are in the middle and to be honest the seats were freaking amazing - it doesn't look like it in the further away photos but the seats were really great. 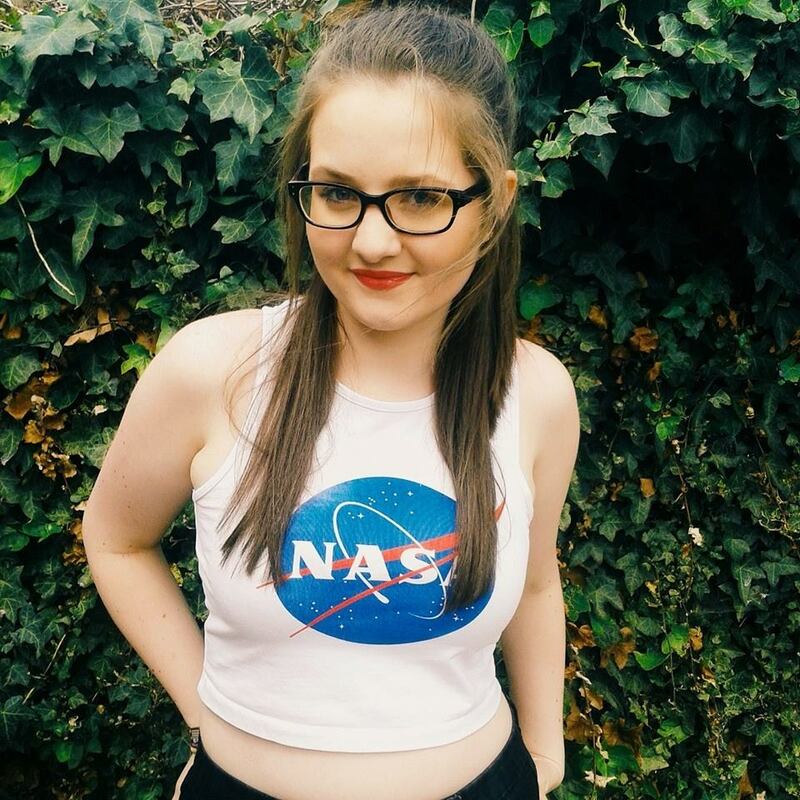 So there's a rambly blog post that doesn't really make any sense but I really just wanted to express my gratitude and talk about one of the best nights of my life. 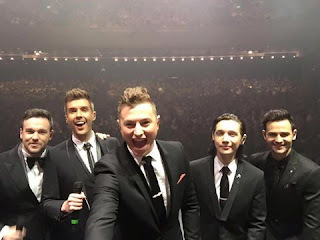 Please if only once listen to Collabro's songs - I've been listening to them non-stop all week and now cannot stop. I hope you enjoyed this blog post, until next time!